Do you feel stressed about pumping and/or returning to work? Being a new mom is a beautiful and exciting experience. do contribute to concerns about milk supply, stress, and nursing. we have created a new set of resources for breastfeeding moms. who are returning to work and planning to pump. 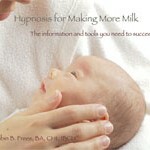 or cds for nursing mothers just click here.